IDF special forces and Israel Security Agency capture the terrorist who murdered Dafna Meir late Monday night. During a very intensive search that was conducted throughout the day and into the late night hours on Monday, the IDF and Israel Security Agency successfully apprehended the terrorist who murdered Dafna Meir at the entrance to her home in Otniel, in the southern Har Hevron region of Judea. 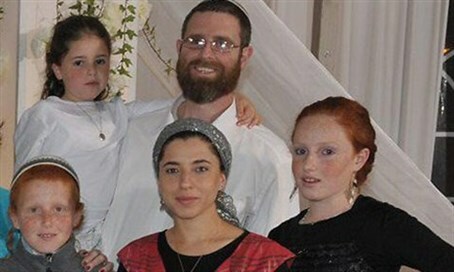 The arrest came late Monday night a full day after the heinous attack that killed Dafna in front of her children. According to security forces the terrorist who perpetrated the attack is a minor and lives in one of the Palestinian villages nearby. According to Judea-Samaria Council Head Avi Naim, he has been identified as 16-year-old Murad Bader Abdullah Adais. Head of Hevron Mountain regional council Yochai Demri together with the Hevron Brigade Commander and the commander of IDF special forces unit involved in the search informed the family this morning of the arrest. The footage from security cameras around the town which was publicized yesterday, showed security forces how the terrorist manage to escape the town after committing the murder. The teen fled the town just minutes after the murder, while security forces were searching the entire town to verify that the terrorist was no longer a threat to residents, before moving on and searching the surrounding area. Dafna left behind six children, two of them foster children, and her husband Natan. She was initially critically wounded in the attack after attempting to fight off her attacker and protect her children. She succumbed to her wounds shortly after. Hundreds of people took part in the funeral procession that began on Monday morning in Jerusalem.